Nina shows Maxie a holiday dress that she bought for Charlotte. She&apos;s shocked when Maxie tells her the truth about the child&apos;s parentage. When Maxie says Valentin confirmed all of this, Nina heads out to confront him. Lulu wants to know if Dante&apos;s with her regarding Charlotte. Dante promises to love Lulu&apos;s daughter, but is not happy about dealing with Valentin. Jason and Curtis continue to interrogate the owner of the pawn shop, but when they get nowhere, Jason leaves his contact info. The owner leaves it with his boss. Jordan shows up at Ava&apos;s apartment to talk to Julian. She is surprised to see Alexis there because of the restraining order out on him. Alexis claims she had no idea Julian was released from the hospital, and was there to see Ava to get a photo album for her kids. Felicia stops by to discuss wedding plans with Maxie, but finds her distracted. Maxie explains about Lulu and Charlotte, and how it makes her sad that Lulu missed the child&apos;s early years. Felicia offers her comfort. Nina heads to Wyndemere. She demands to know why Valentin has been lying to her about Charlotte&apos;s true mother. She feels Valentin has been cruel, but he says he was only protecting Charlotte. He felt Lulu should know the truth before anyone else. Valentin is grateful to Nina for being nice to Charlotte. Nina wonders if he&apos;s working her because he knows how much she&apos;s wanted a child. Valentin swears he&apos;s on the up and up. He apologizes for hurting her and Nina accepts it. Laura interrupts Lante, then realizes that she walked in on something. Dante heads out. Lulu explains to Laura about Charlotte. Lulu says she always wanted a second child, but hates that she&apos;s now connected to Valentin. Laura feels all children are a blessing and that Lulu will love the child. Laura feels they need to get Charlotte away from Valentin. She promises to talk to Scott about custody. Laura tells Lulu not to do anything impulsive and to deal with things legally. Dante finds his mother and tells her about Charlotte. Olivia wonders how Dante is feeling about all of this. Dante&apos;s not happy that Valentin will now be in their lives. Olivia believes Charlotte is a blessing and that Lante need to make things work. Jordan questions Julian about the car bomb. She explains about the van that blocked the view of the bomber. She tells him that the van was a Derek Wells Media van. 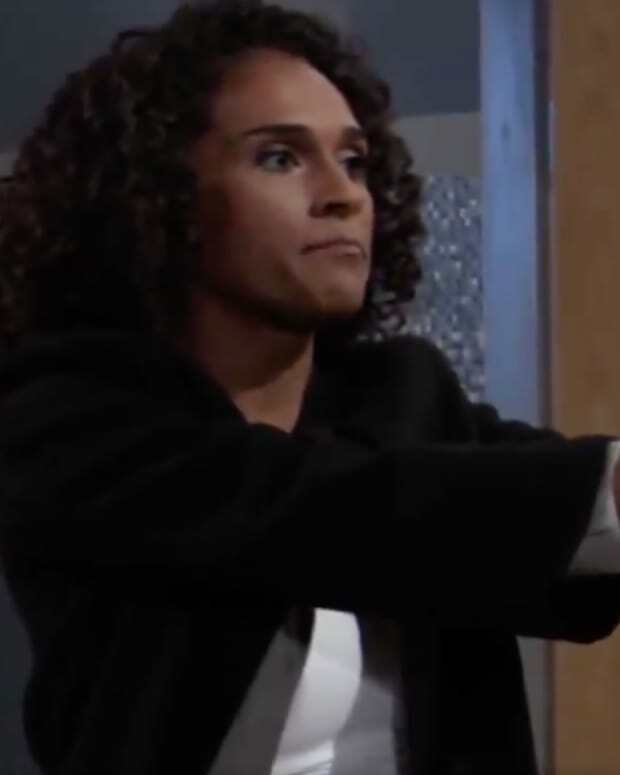 Julian believes Sonny is framing him. Jordan asks about the hit and run. Julian claims he has no memories of who hit him. Jordan leaves as does Ava, leaving Alexis to care for a demanding Julian. Lulu shows up at Wyndemere and announces that she&apos;s taking Charlotte home. Way to think more rationally and letting the legal system deal with it. Duh, you are your father&apos;s daughter.